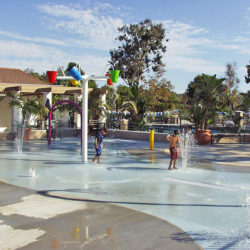 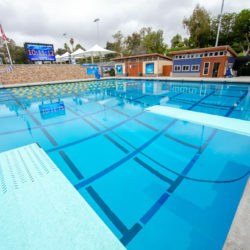 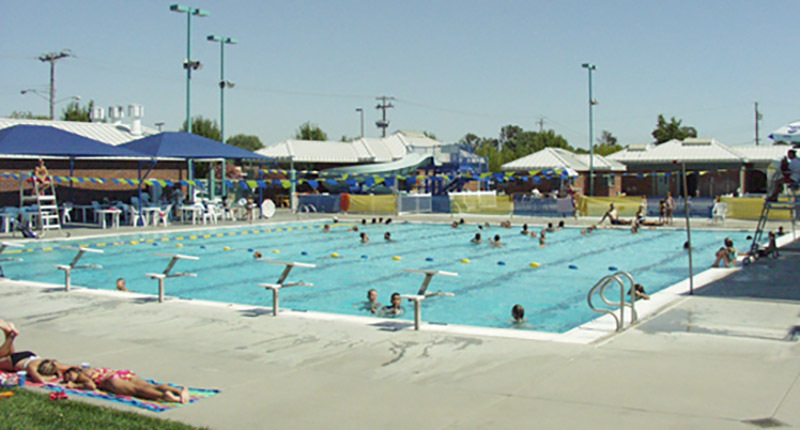 This one-acre aquatic center provides a dynamic water-oriented recreation facility for the 12,000+ population of the community of Galt. 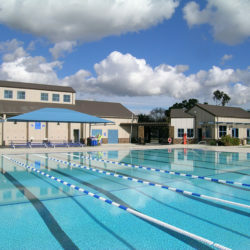 The facility includes a 25 yd. 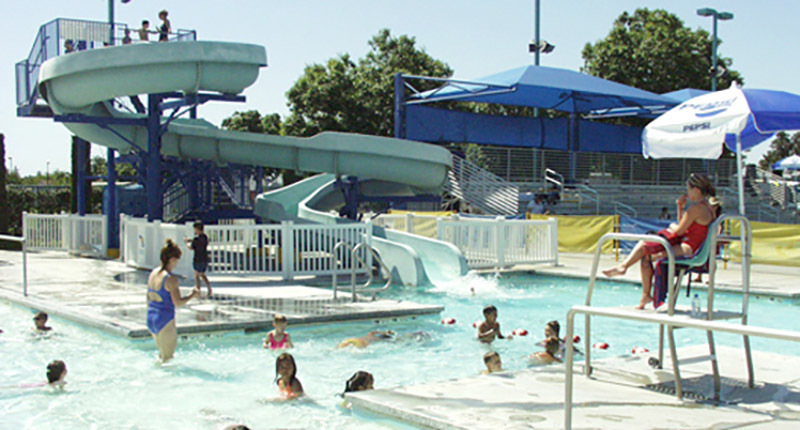 x 8-lane competition pool, a 3,800 square foot beach-entry recreation pool, two waterslides, a water mushroom and buildings that provide locker rooms, offices, ticketing area, pool equipment and a concession area. 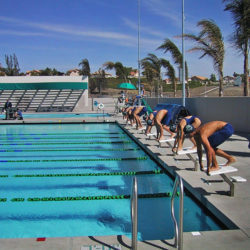 Additional facilities include a terraced lawn seating area, picnic tables, bleachers covered with shade structures, pool decks and turf sunning/area.